A team of film-makers shot with a pre-production Sony F3 camera. And the finished video is up at Vimeo here. Post production was done at Molinare in London. The camera shoots 35 Mbps MPEG-2 on SxS cards. 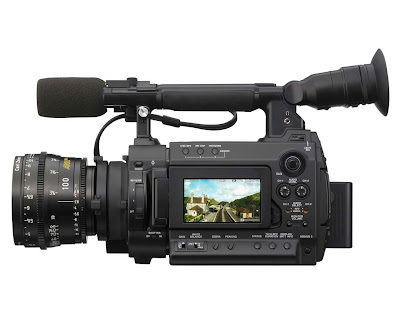 There is a provision to output video over HD-SDI along with recording to SxS cards. 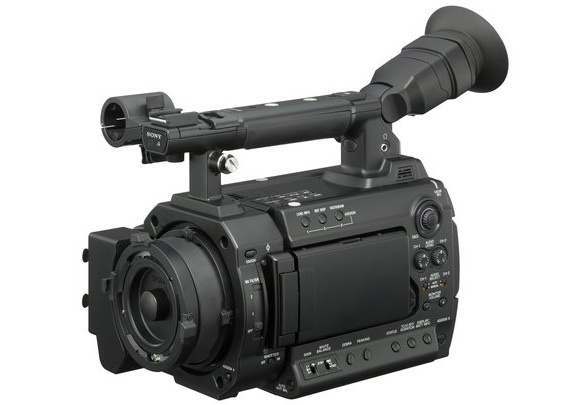 To enable recording to an HDCamSR VTR or a recorder like the Aja KiPro or KiPro mini that record to hard disk or CF card as Apple ProResHQ or ProRes QT movies. It may be interesting to learn how they handled the post for this test story. But the visuals in the final look stunning. Check it out. At a location in Mumbai recently I had occasion to see the new Sony PMW-F3 camera. This camera will be released later this year. And some features will be activated only early next year. So I'll write a detailed review only when I can lay my hands on one with a cinematographer present. Mounts for Sony lenses and PL mount lenses. Super35 size sensor for 'filmic' depth of field. Sony Exmor sensor for truer 'filmic' colours. Records to onboard SxS as XDCamEx, same format as EX1 and EX3. HD-SDI outputs so you can record to a KiPro, Convergent, or HDCamSR recorder. 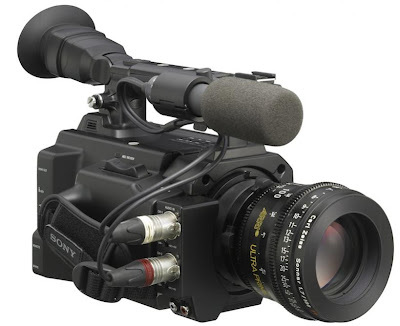 $16,000 body and $23,000 with 3 Sony PL lenses. Dual link output, and S-log shooting to be added next year. Stargate Studios has done a trial shoot with a detailed report with pictures. Studio Daily has a report. Will this camera threaten the Canon 5Ds and 7Ds? On price, no. On features, usability and quality, definitely. Most likely yes because it has features to compare. But the Red is 4k at about the same price with a more convoluted post process. Resolution wise it is similar to the Alexa. Quality wise, remains to be seen. Price, definitely better than Alexa. But maybe the F3 is in a different league compared to Red and Alexa. I think at $7000 or even less for F3 body only, with a comparable reduction in pricing of the EX1/EX3 and Sony will have a killer range that can sell some serious numbers. Else, if and when Canon improves the 5D's video issues with aliasing, and jello cam, the F3 will be threatened back.